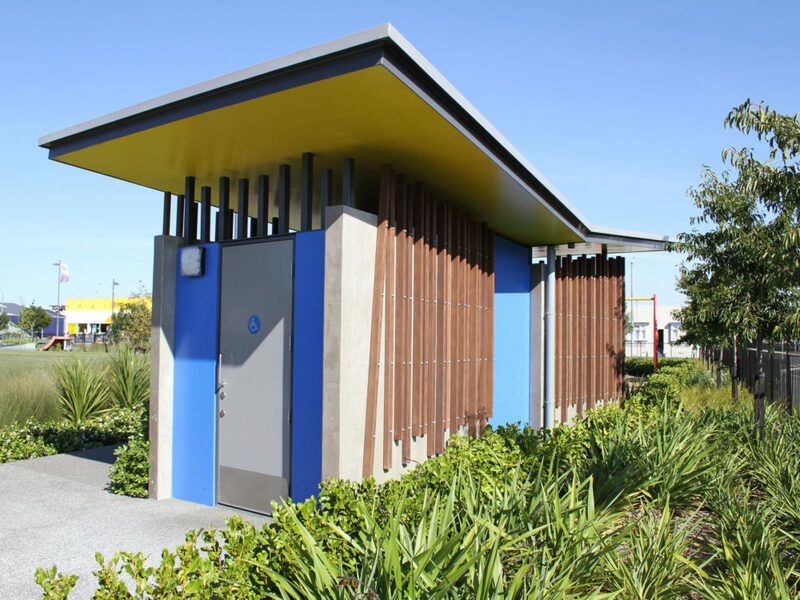 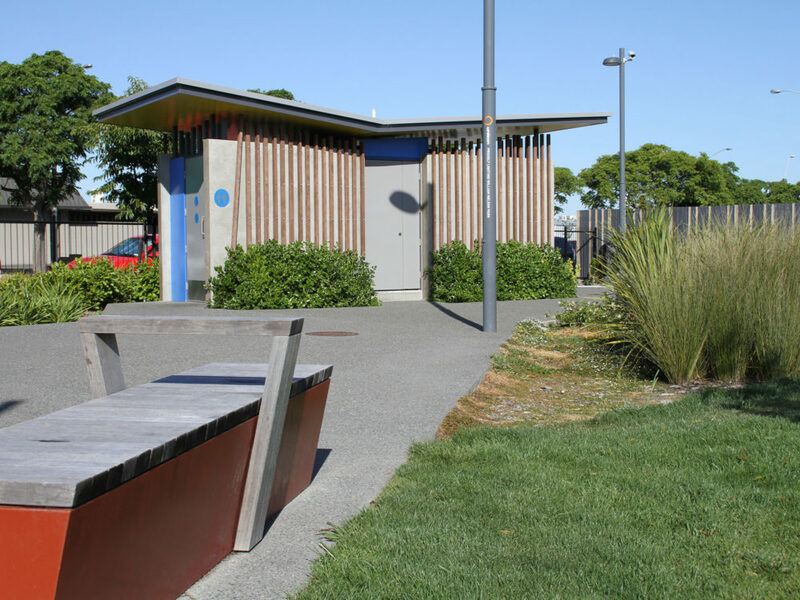 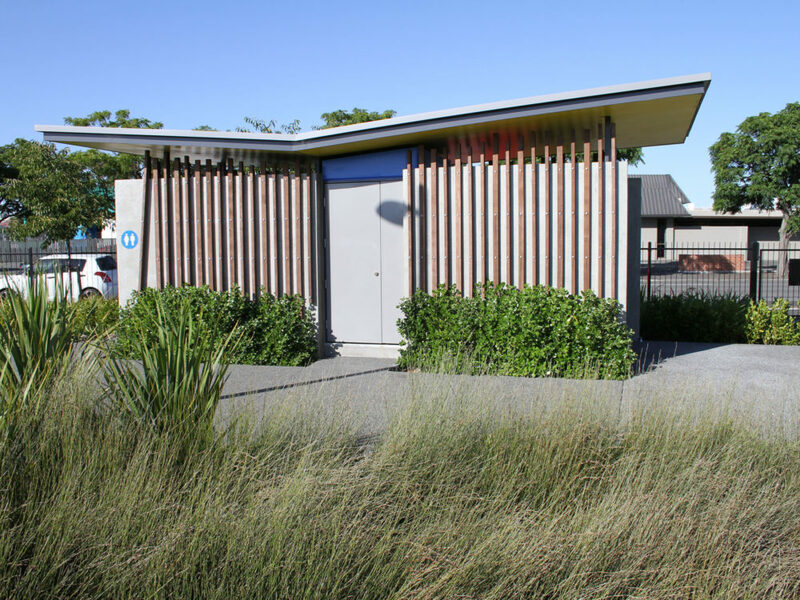 The angular paths that lead you around this vibrant urban park express a strong sense of movement and it is this active and edgy geometry that has inspired the form of the new toilets. 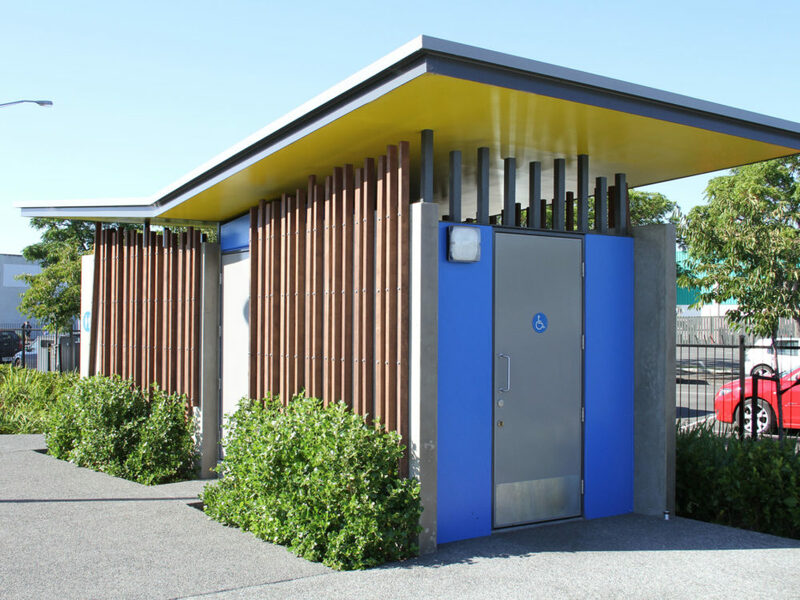 The angled precast concrete walls are treated more as freestanding landscape elements than building walls, reinforced by floating an asymmetric butterfly roof above them, with their face ‘decorated’ with timber battens. 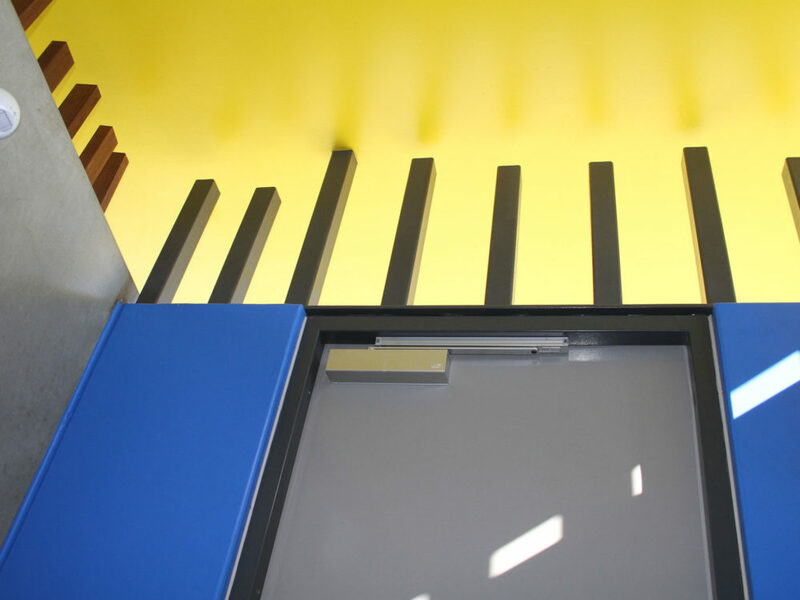 These battens break the blank canvas temptation the walls may offer would-be taggers and extend up into the space between wall and roof to provide security. 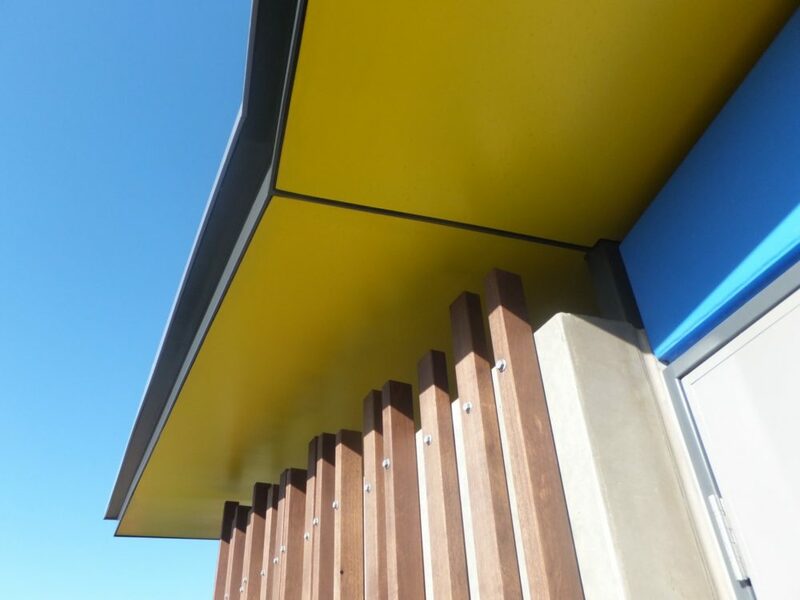 Colour is added to the walls running between the battened panels to add a sense of fun to the structure and to connect it to the palette of the colourful playground equipment adjacent.